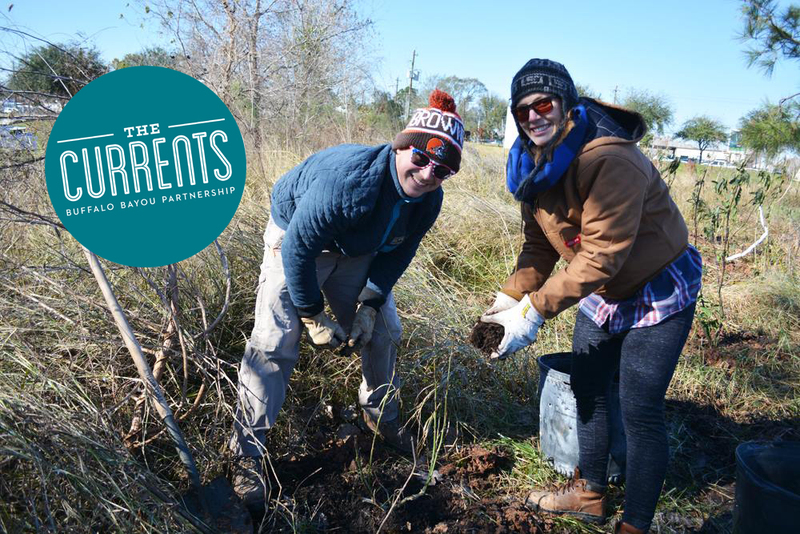 If you’re a member of The Currents (BBP’s YP group), join us for a volunteer day along Buffalo Bayou to help us keep it looking bayou-tiful! Members, fill out and submit the volunteer waiver with the date and the group name here. Details will be sent out the week of. Interested in joining this and other events? Join The Currents today! To learn more about Buffalo Bayou volunteering opportunities, please contact volunteer@buffalobayou.org or 713.752.0314 ext. 206.